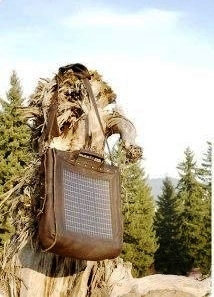 Noon Solar Powered Bag – Are You Ready to Dress the Sun? 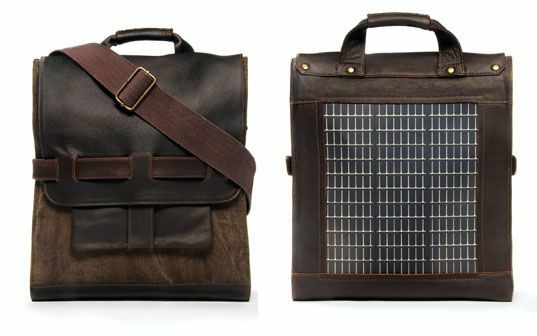 The system is based on a paper thin the outside of the bag, it’s a flexible solar panel. It charges a battery pack located inside the bag. Place the solar panel towards the sun to collect energy (window, home, car, café, walk/bike around). The battery pack will hold the sun’s energy for several days. The battery box will keep its charge for a few days if not used. The battery box will take about 6-8 hours of full sun to completely charge. If the battery box is fully charged, you can get one full charge or more of your device depending on its size. Selectable output voltage of DC 5.2V, 6.2V, 7.2V. Internal battery is 3.6V, 3600mAH. FCC certified and CE approved.